SSC had released an Official Notification for it’s Combined Graduate Exam (CGL) inviting applications for multiple posts. SSC had later released a notification declaring that the Exam for the recruitment will be postponed. The new dates have still not been announced. So, while you wait for the new exam dates to be released, why not start your preparations? A section testing your Quantitative Aptitude is a must in the SSC CGL Exam. This Quant Section is usually very time consuming but, with a proper preparation strategy and good quality of practice it is possible to ace this section. 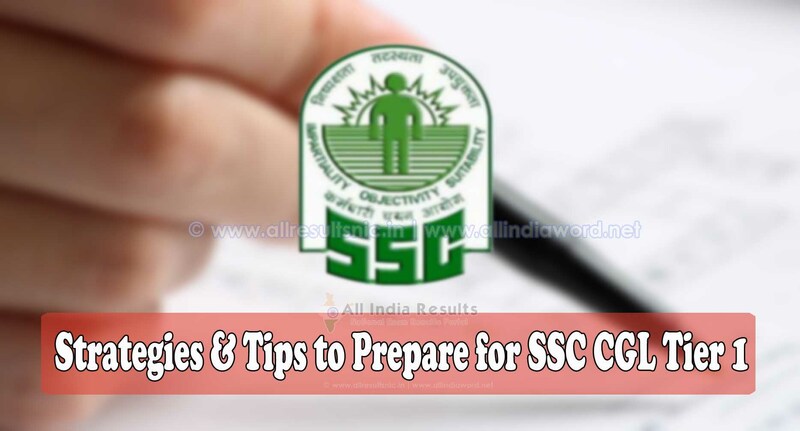 Here, are some Top strategies & tips to prepare for the Quant Section of SSC CGL 2018 Exam. It is always recommended that you know the syllabus and exam pattern before you strategize your preparation. Hence, before starting your preparation for the Quantitative Aptitude Section, make sure you go through the SSC CGL Tier I syllabus in detail. The Quantitative Aptitude Section in the SSC CGL carries 50 marks for a total of 25 Questions, which means each question has a weight of 2 marks. Go through the syllabus to understand the difficulty level of each topic and then proceed to arrange the topics in ascending order of difficulty. It is recommended that you start your practice from an easy topic and then gradually move towards the difficult ones. You can start your preparation from easy topics, some of which are given below. These are less time consuming, scoring & easy to solve. Try to focus on improving your Calculation Speed. The time you save from here can be used to solve other important questions. Simplification (1-2 Qs) – Simplification Techniques based on BODMAS Rule, Fractions, Surds, and Indices etc. are a huge must. Also, fast calculation techniques are helpful. Percentage (1 Qs) – Try to calculate the percentage of a given number mentally i.e. without using pen & paper. This will prove to be very helpful in increasing your calculation speed. Average (1 Qs) – Get your Basics Cleared and start with solving basic questions then move towards solving the more complicated ones. Ratio and Proportion (1-2 Qs) – Again, make sure your basics are clear and that you solve all types of questions that may appear in the exam. Problems on Ages (1 Qs) – First, solve the basic good problems then, gradually move towards the more complex ones. With little more efforts, you can ace the topics of moderate difficulty level too. Speed, Time And Distance (1-2 Qs) – Practice questions based on Average/Relative speeds, Boats, Trains which usually appear in the exams for sure. Profit and Loss (2 Qs) – Aim to learn the basic concepts first. After which you can practice solving problems based on Successive dealings, Partnerships etc. Number Series (1 Qs) – The number series pattern is usually in addition, subtraction, multiplication, division, square form etc. So when solving, first understand the pattern. Number System (1 Qs) – Solve the problems which have appeared in previous papers and mock tests. They are usually based on LCM & HCF, Irrational or Rational Numbers. Mensuration (2-3 Qs) – Solve the problems related to Square, Rectangle, Circles, Cone, Cylinder which are usually seen in most of the exams. The best way to solve such problems is to get your basics clear. Data Interpretation (2-4 Qs) – Practice problems on Bar Graphs, Pie Charts, Tables etc. This is the section, which requires the maximum of your attention and focus. These are some of the topics which are difficult for everyone. Extra efforts will make you stand ahead in the competition. Time and Work (1-2 Qs) – Shortcut Tricks for Time & Work, Pipes, and Cistern, Work & Efficiency are must work. Work on problems based on these topics. Mixture problems (0-1 Qs) – Attempt problems based on two or more entities/mixtures. Algebra (2-3 Qs) – Regularly solve algebra problems like Linear Equations in one or two variables. Memorize all the identities to gain speed with accuracy. Geometry (3-4 Qs) – Remember to Attempt problems based on Triangles congruency, Similarity theorems, Circle chords & tangent theorems, Co-ordinate geometry etc. Remember all the theorems. Trigonometry (2-3 Qs) – By heart, all the Trigonometric Identities & also remember to solve such questions. S Agarwal book of Quantitative Aptitude is recommended for those who are attempting this section for the first time. Read good chapters & practice the questions. Gradually with practice, you will start to realize your improvement in this section. After your concepts are clear you can proceed to attempt short quizzes. Regularly attempt at least one Full-Length SSC CGL Mock test and analyze the results. Jot down the mistakes you made and try to work on your weaker section. Hope you found this article helpful and are all set with your preparation strategy. All the Best for your Exam! Copyright © 2019 | SSC CGL Results 2019 | All Logos & Trademarks Belongs to Their Respective Owners.